Porsche released the 993 evolution of its legendary 911 Turbo coupe in 1995, and as many marque enthusiasts agree, the lean 993 is one of the sweetest spots in the 911's long existence. 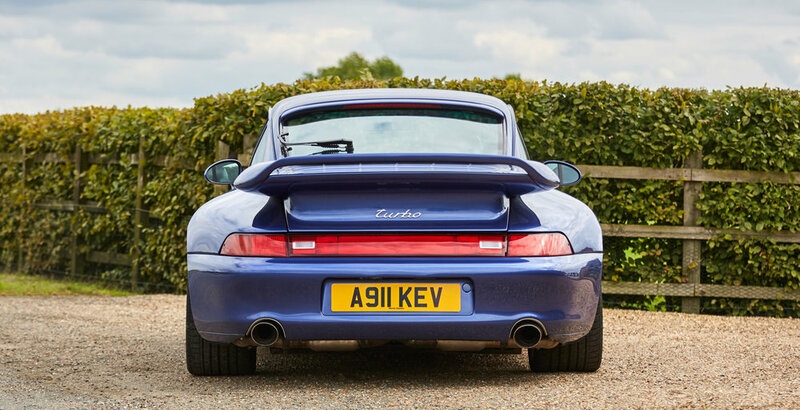 The 993 Turbo was the first Porsche 911 Turbo with all-wheel-drive, and the model featured a new air-cooled, turbocharged 3.6-litre engine producing 402 bhp. 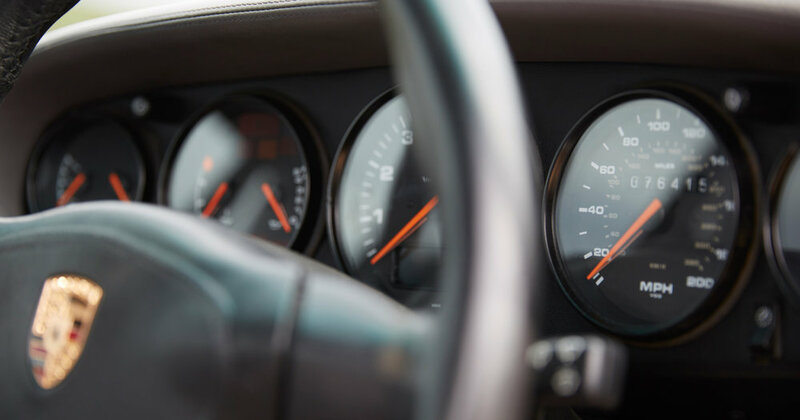 Twin turbochargers and air-to-air intercoolers, electronic engine management, redesigned cylinder heads and other modified engine internals were used, with an electronic engine management helping the Turbo to achieve fuel efficiency far superior to any of the previous models. The Turbo’s bodywork differed from the standard 993 Carrera body by widened rear wheel arches (approximately 6 cm), redesigned front and rear bumper moldings, and a fixed rear wing housing the intercoolers. New 18-inch alloy wheels with weight-reducing hollow spokes were standard and the model had brakes that were larger than those on the base Carrera model. specification 911 Turbo, including a power upgrade to 450. The 993 Turbo S benefitted from the inclusion of desirable extra specification, including carbon fibre interior decoration. The 993 Turbo S could be recognised by its distinctive yellow brake calipers, as per this example, plus a slightly larger rear wing, a 4-pipe exhaust and air scoops behind the doors. 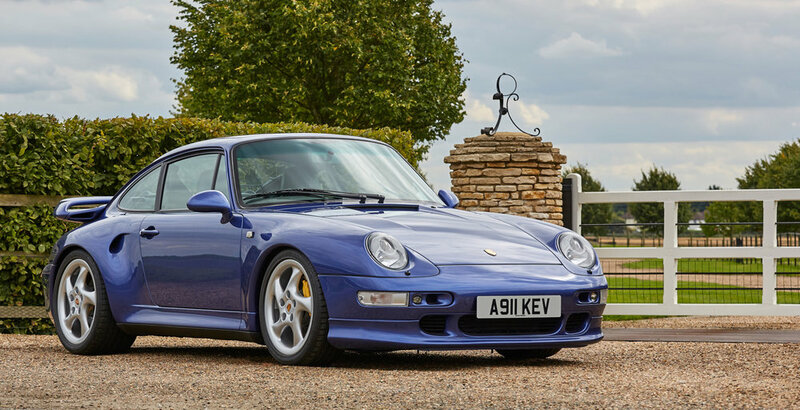 The 993 Turbo’s 3.6-litre twin turbo M64/60 engine used twin KKK K16 turbos to produce over 400 bhp, and crucially, this was the last of the legendary air-cooled 911 Turbo models, making this exceptional example, with only 76,300 miles on the clock (with the twin turbos replaced at 75,000 miles) a fantastic and rare-to-find addition for a Porsche collector or investor, as well as being a highly-focused and useable driving machine.